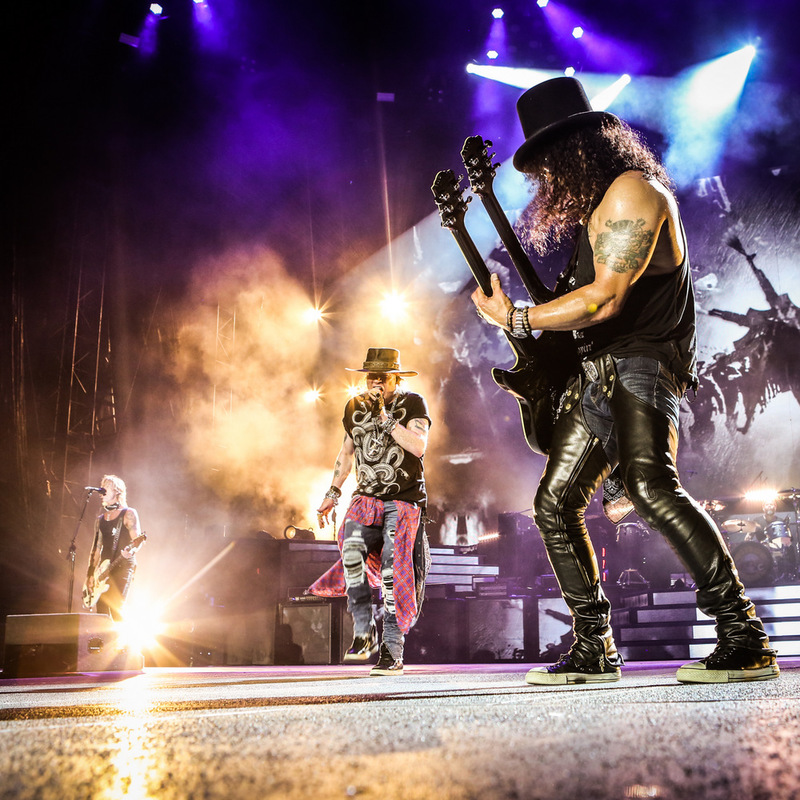 Guns N’ Roses brought their 2016 summer reunion tour to CenturyLink Field in Seattle, WA on August 12. The concert marked only the third appearance of the song by the reunited trio of Axl Rose, Slash and Duff McKagan following its debut at Gillette Stadium in Foxborough, MA on July 20 and performance during an August 5 show at NRG Stadium in Houston, TX. McKagan’s daughter’s band, The Pink Slips, and Alice In Chains opened the show. Guns N’ Roses will next perform at the University of Phoenix Stadium in Glendale, AZ on August 15.